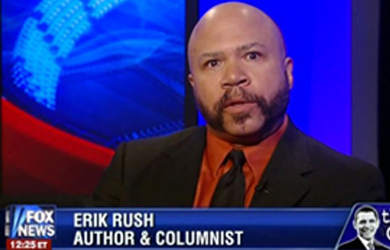 We’re starting to get genuinely worried about Erik Rush, as the conservative commentator in his latest column warns that not only will President Obama confiscate guns in order to usher in Chinese Communist rule, but he might also cancel the 2014 elections. For some time, there have been unsubstantiated reports of the Obama administration engaging in clandestine negotiations with China toward satisfying America’s debt to that nation via exchanges of land and resources. Such an arrangement would be illegal and treasonous of course, but given its deportment to date, that would not likely deter this administration. Also, in the face of having trillions of dollars in debt called by China, and the economic catastrophe that would ensue, it is entirely possible that Obama might request and be granted some manner of dispensation from Congress to legitimize this pact. 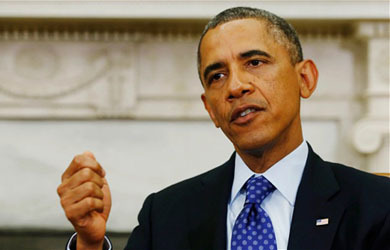 All of this falls well within the parameters of Barack Obama’s long-standing desire to bring America down, as it were, punishing the American people for centuries of enjoying the spoils of imperialism, colonialism, and oppression, as well as finally bringing this nation under the heel of communism. Thus – which came as an outrage, but no surprise to many – it is the Chinese government that is lobbying Obama to disarm the American public. They foresee a time when there will be widespread anger against them for their role in this obscene arrangement, and would rather not have to militarily engage armed Americans over land or resources that they will control, some of which is in America’s heartland. Some perceive Obama’s spirited pursuit of gun control after the Sandy Hook massacre as typical knee-jerk liberal opportunism, but it is far more than that. As reported previously in this space, despite Obama’s affinity for communism and show of solidarity with the world’s leftists, the Chinese government thinks him a fool, yet they are more than happy to expand their global influence at our expense. Obama’s definitely high on power, but I wouldn’t count on him paying any price for his policy escapades; considering the course America is on at the moment, there may not be a midterm election in 2014 at all. If there is, the leftist juggernaut of a compromised press, political organization, and outright fraud proved in November 2012 that it can prevail over all logic, common sense, and ostensible fail safes within the American electoral system. As the press continues to maintain the illusion that Obama is simply another American trying to do the right thing, he has been involved in the darkest machinations, some as yet incomprehensible to the average American. It is a sad irony that the American people are being positioned to suffer most due to the accumulation of debt that irresponsible (and some outright treasonous) government officials racked up in the first place, but such is the lot of those who are ruled rather than governed.